If “never printing your camera phone photos” was a sport, I’d be the grand champion. However, this holiday season, I’ve finally decided to change my ways while also making the perfect personalized gift… and on a budget! 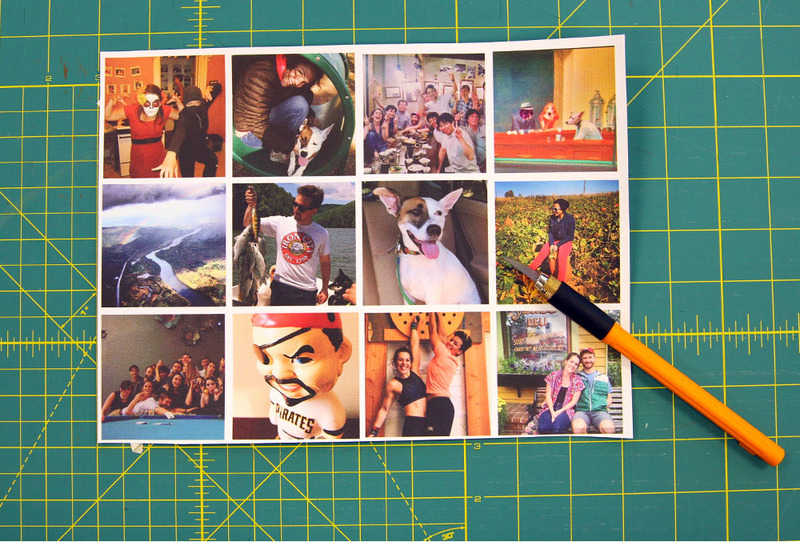 With the help of Instagram, Photoshop and just one swatch of Spoonflower’s woven wallpaper, I used photos that may have never seen the light of day and transformed them into beautiful photo magnets! 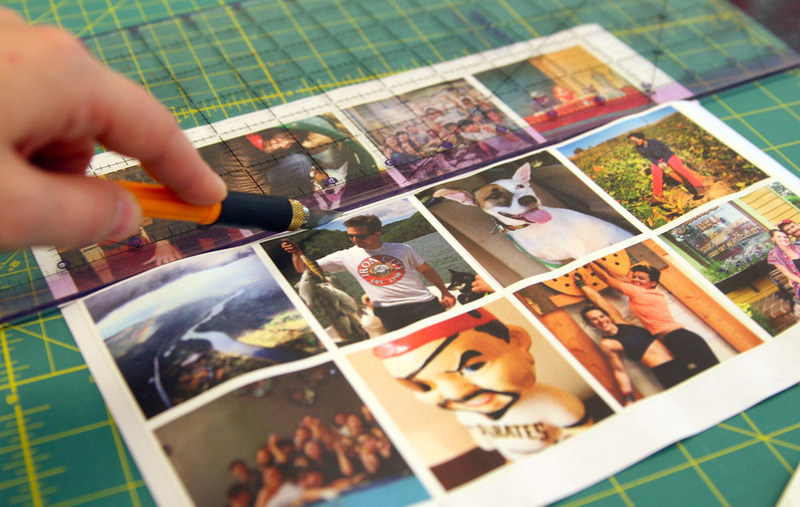 Follow along as I show you how I made this personalized gift. 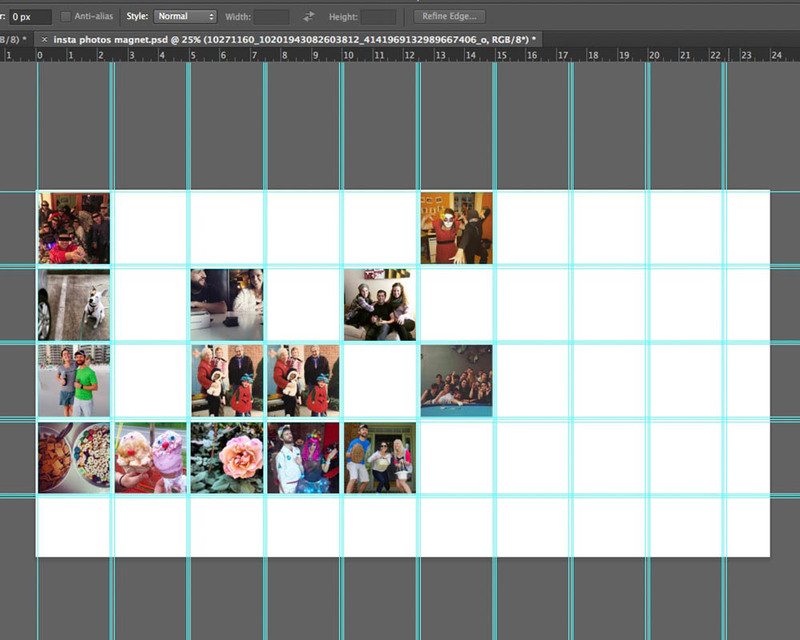 A grid on your Photoshop canvas helps ensure a uniformed size for each photo! In photoshop or another design program, create a file the size of a wallpaper sample swatch, 24” x 12”, set at 150 dpi. 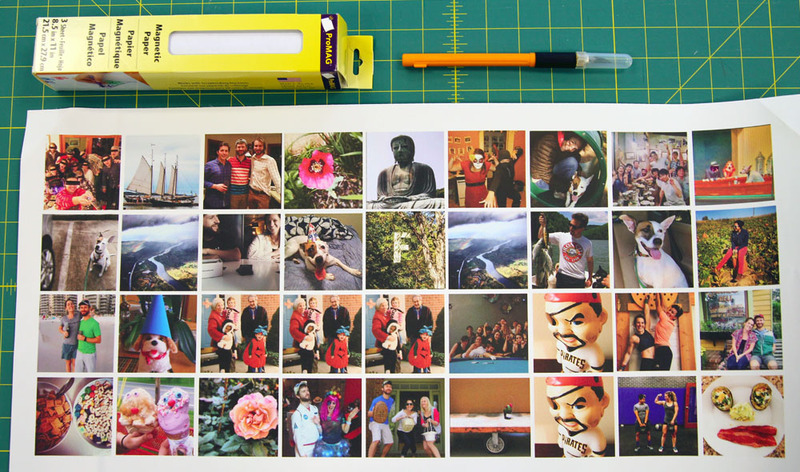 Using the ruler on your canvas, create a grid to mark the size of each photo. My images are about 2 inch squares with a ¼ inch white border. 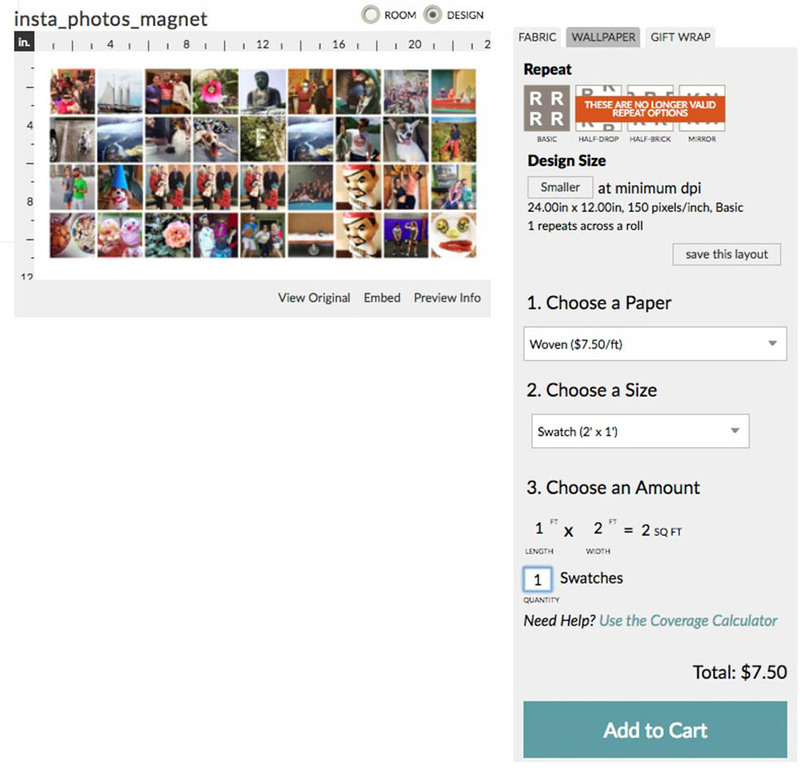 Take screenshots of your chosen Instagram photos and place them on your 24” x 12” canvas. Resize accordingly. Once you’ve filled your canvas, save your swatch as a JPG or PNG. 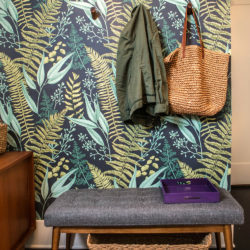 Upload your file to Spoonflower and once on your wallpaper design page, select the Woven Wallpaper and swatch options and add to your cart. Now it’s time to get crafting! 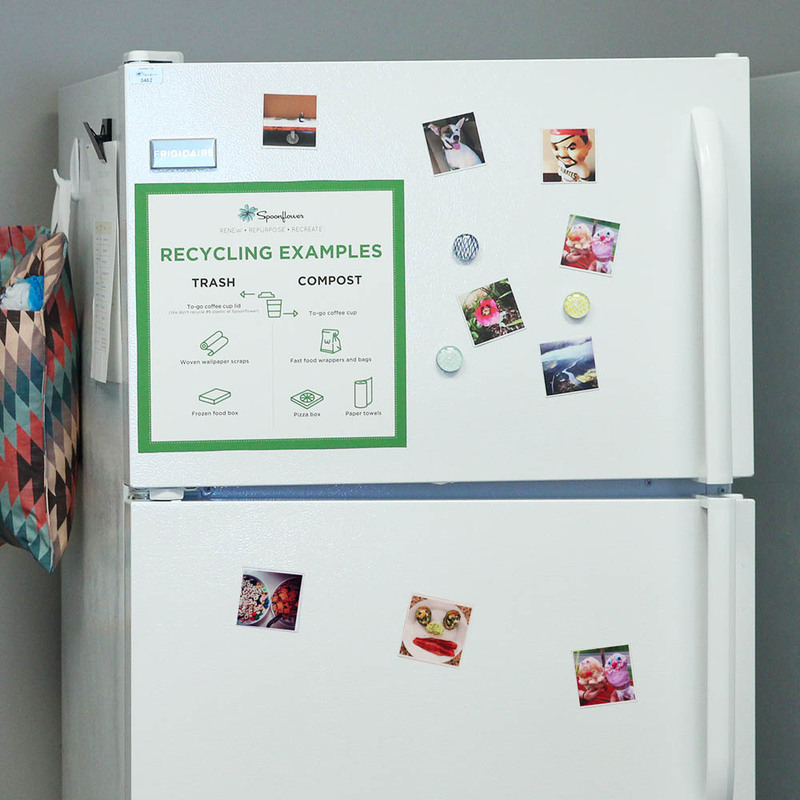 To create the photo magnets, cut down your swatch to fit the size of your magnetic paper. 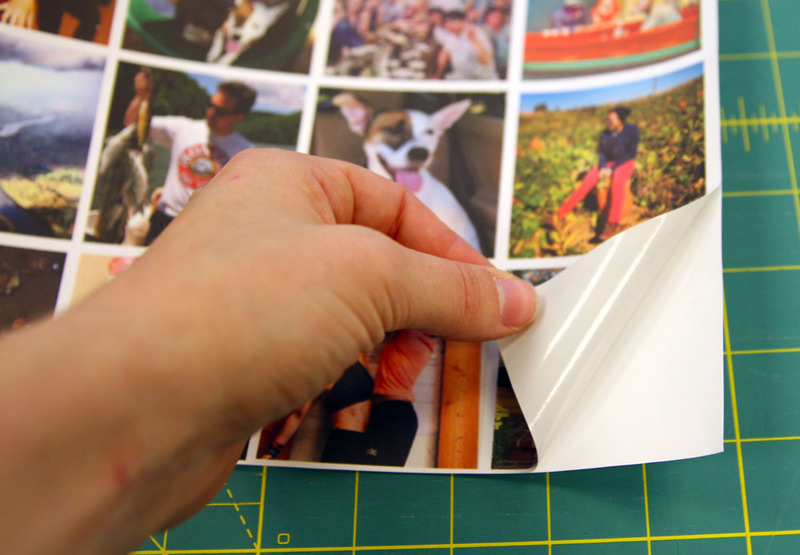 Peel off the paper backing and adhere the woven swatch to the magnetic paper (on the non magnetic side). I like to use a credit card or the provided plastic squeegee to press out any air bubbles as I go. 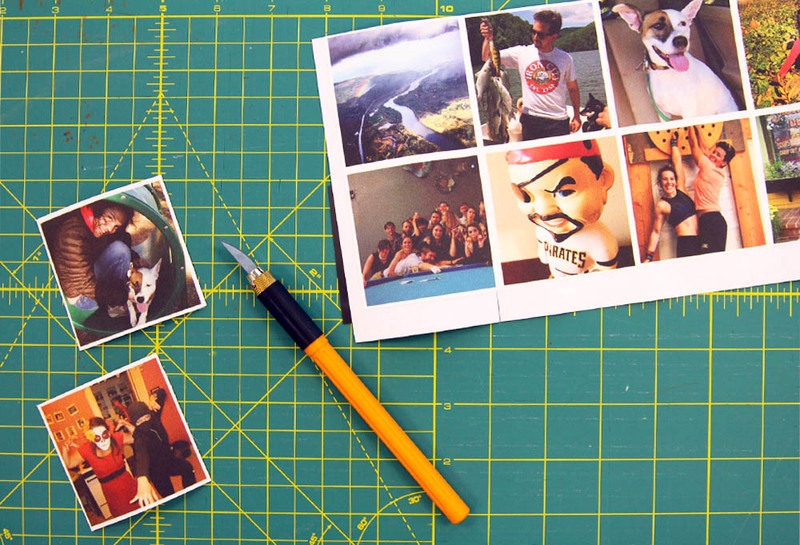 Using a ruler and X-ACTO knife, cut between each photo, making sure not to cut off the white border. 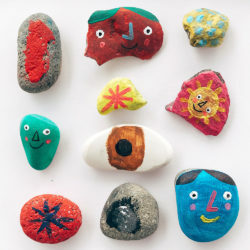 If you’re gifting the magnets, you can have so much fun creating different ways to package them! I used embroidery thread but you could put them in a decorative tin, a mini envelope, or stick them right on the ‘fridge! 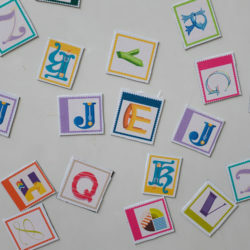 Will you be gifting custom magnets this holiday season? Let us know by commenting below! What a cool idea! I previously purchased a wallpaper swatch for creating decals, but this opens up a whole bunch of new ideas… like custom labels for glass jars for those who make their own goodies for gift giving. Thanks so much for stopping by the blog! Custom labels for glass jars is such a great idea! With the woven wallpaper, the ideas are limitless. If you make any labels for holiday gift giving this season, please do let us know! « How the Walls of this Pizza Shop Went From Blah to Pi-zza!